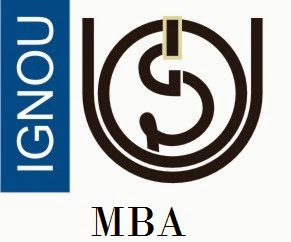 Along with traditional MBA Programme IGNOU also offers MBA in (B & F); also known as IGNOU MBA (Banking & Finance). This programme focuses on enhancing Banking skills specifically for those who want to pursue their career in the field of Banking and Finance. The main reason behind starting this programme is to provide a simple way for the members of the IIBF to get a post-graduate academic qualification because before this IGNOU has signed an MoU with IIBF (INDIAN INSTITUTE OF BANKING & FINANCE). IGNOU MBA Programme in Banking and Finance gives a chance to understand banking activities better and with the help of technology, how to promote capabilities and managerial skills of in-service banking professionals. Basically, MBA in (Banking & Finance) aims at providing quality banking services in future and this year IGNOU is seeking admissions for MBA (Banking & Finance) for the session 2017. Candidate must posses a Graduate Degree from Recognised University. Candidate must possess the CAIIB examinations of IIBF, Mumbai and awarded the necessary qualification/credentials by the IIBF Institute. Candidate having working experience at least two years with the banking or financial services sector. For taking admission into IGNOU MBA in Banking & Finance Programme, a candidate will be required to apply to the concerned Regional Director, in the application form with requisite fee and other documents, like the qualifying certificate of CAIIB. Though, Admission will be given to all the eligible candidates subject to a maximum limit mutually agreed upon between IGNOU and IIBF. MBA (Banking & Finance) programme consists of 21 courses which include 11 Basic Courses, 5 Specialisation Courses and 5 Integrative Courses and a Project Course equivalent to two courses. Admissions will be made without any Entrance Test to this programme. Below is a Table displaying the IGNOU MBA (Banking & Finance) Syllabus in the form of codes number and name of the course for a particular subject. Student Handbook & Prospectus: Candidates can get Prospectus and Handbook from Registrar, Student Registration Division, IGNOU, Maidan Garhi, New Delhi 110 068 or from any of the nearest IGNOU Regional Centres. Whether, In Person on Cash payment of Rs.500/- or By Post sending an Demand Draft/IPO of Rs.550/- drawn in favour of IGNOU payable at the city from where the Prospectus is requested. Please. By download from website: The Application form can also be downloaded from IGNOU official website as well and submitted along with a DD/IPO for Rs.500/-, in addition to the Programme fee. Note: Please do write your name and address on the back side of the DD/IPO. For MBA (Banking & Finance) Programme a candidate has to pay total Rs.31500 and can be paid on semester basis. For more details on MBA Fee structure and other related queries; we suggest you to contact your nearest regional center for more information about existing fee structure. For IGNOU MBA programme in Banking and Finance, medium of instruction would be in English Language. Minimum duration is 2.5 years and maximum duration for completing the course is 8 years.